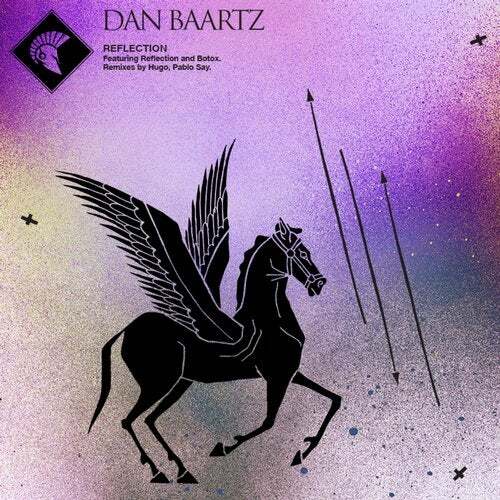 Dan Baartz is back on Trojan House with his signature big bass deep-tech sound. Reflection is an odyssey landscaped by a motion full drum groove on top of a coarse throbbing bass that forces movement. Adding to the flow of this atmospheric creeper is some dark and gorgeous synth work intertwined with a tight inspirational vocal. Botox hits us hard down low again with a deep droning bass. The groove is constructed around the delayed vocal hook, and the track is complimented with an array of atmospheric pads that create a very danceable, driving and dark vibe. Hugo steps up, and his remix of Reflection can be described as anything but stable! With a low hovering bass line morphing in and out of the drum groove in unity to keep floors moving, the use of powerful bass drones, synth waves, and tailed fills across the spectrum will have people on their toes trying to keep up. Pablo Say's interpretation of Botox is a massive tech house monster! Once again, this cut has a dark eerie vibe compliments of the choices of pad and bass tones. With snappy effected drum fills and builds, it's slightly faster pace and deep sub bass, this track has the power to move the toughest dance floors!